Were you cruising along with your current diet, making gains and dropping fat, when all of a sudden your weight loss just stopped? Hitting a wall – or as it is more commonly called, a plateau – can be the result of doing too much of the same thing for too long. This can cause your metabolism to slow down, along with your progress. You might not realize that if you want to drop weight it takes more than just dropping your calories by a little to make a difference – it takes a drop of about 500 on a continual basis! If you want to lose weight and tap into your fat stores, you need to make a deficit of approximately 500 calories per day – or about 3500 calories per week – to burn just one pound of fat. If you’re not into eating less, you can accomplish the same by doing more exercise. For accelerated results, consider eating a bit less and doing a bit more! The stricter you are and more activity you can do the easier it will be to drop the fat while minimizing hunger. Are you keeping track of your macronutrients? Although protein is thermogenic, carbs are not. In fact, the more carbs that you eat beyond your required need, the more get stored. Our bodies have a limit for carb storage; these stores are located in the muscle, but also the fat and the liver. Once those muscles are full, the body will store excess as fat. If you have been following the same type of diet and eating about the same amount of protein and carbs, chances are you won’t be able to tap into that stored fat. The key is to empty your glycogen storage, and allow your body to access other nutrients as fuel – including your body fat. To do this, you will need to drop those carbs to below 20%, if not more, depending on your metabolism and how well your body accesses carbs as fuel. You’ll also need to make sure your protein is high, (40% to 50% of your macros) while your fat intake can make up the remaining portion. Fats are an essential part of any healthy diet, but did you know that eating more of them can actually result in smaller waistlines and higher testosterone levels? Eating healthy fats, including monounsaturated and polyunsaturated fats, reduces inflammatory markers associated with obesity and helps prevent body fat distribution around the midsection by decreasing the expression of certain fat genes – specifically the peripheral adiponectin gene. Not to mention, higher fat diets can also improve mood during dieting! It has also been shown that men following a high-fat diet had less abdominal fat and higher free testosterone levels then those following a low-fat diet of the same caloric value. 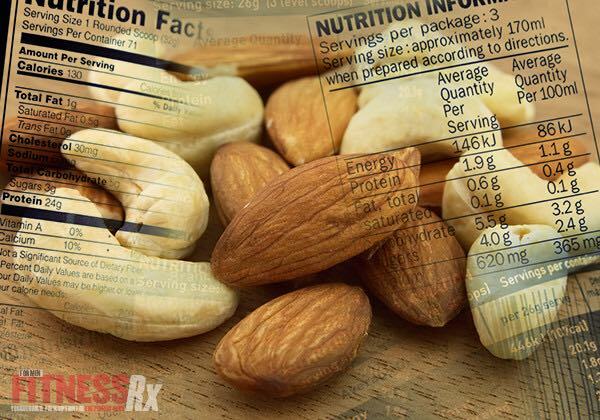 Make sure your diet contains fats from sources such as almonds, cashews, avocados, chia or pumpkin seeds. Carb cycling is an effective way to prevent your body from hitting plateau. 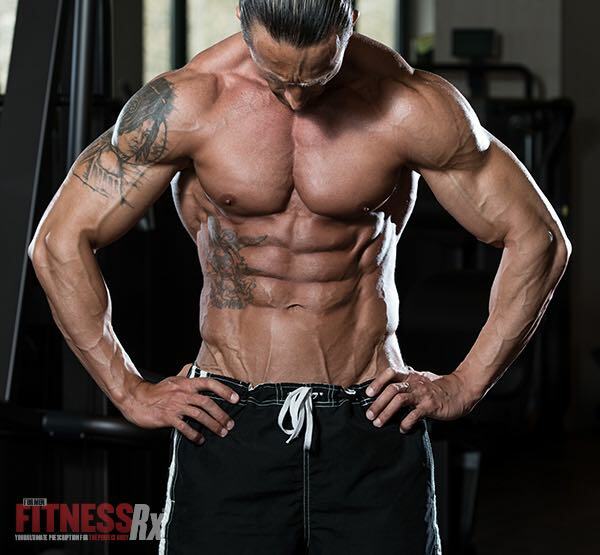 Carb cycling keeps your body guessing by switching from low-carb days to high-carb days. During low carb days, the body effectively uses stored carbs through workouts, cardio sessions and the general metabolic processes. When those carbs run out, your body taps into fat as a secondary fuel. On high-carb days, carbs are refilled and at the same time result in a spike in blood glucose and insulin levels, causing a metabolic stimulation. These carbs get sucked up by the muscles, allowing them to fuel workouts and stimulate muscle pumps. The key to an effective carb cycle is to ensure your carbs are kept to a minimum during your low days; less than 50 g per day is shown to be an efficient amount for activating ketogenesis, whereby there is not enough glucose in the blood to spike insulin. This can result in switching your body’s energy systems from using carbs as its main source to using fat. Stick to low carb days for 3 to 5 days depending on how efficiently your body uses up glycogen. On your 4th, 5th or 6th day, switch to a high carb day, where you can eat 8 to 10 times the amount of carbs you were eating on your low carb day. It’s certainly not for everyone but intermittent fasting is a fairly easy approach when it comes to losing weight. Intermittent fasting can be performed by simply restricting your dietary intake for period of time, up to about 12 to 16 hours per day for two days per week, or on alternate days depending on your weight loss requirements. On other days, normal dieting should be resumed. Here in lies the difficulty – most people who fast for an extended period of time experience extreme hunger, headaches, and brain fog and have a hard time resuming normal eating behavior, which can result in eating anything and everything in sight. If you can abstain from eating a tremendous amount post fast, however, you can reduce caloric intake to the same extent that you would need to create enough of a deficit for weight loss to occur. Johnstone A. Fasting for weight loss: an effective strategy or latest dieting trend. Int J Obes. 2015. 39(5): 727-33. La Jeunesse S. Monounsaturated Fats Reduce Metabolic Syndrome Risk. Penn State News. Paniaqua JA, et al. Monounsaturated fat-rich diet prevents central body fat distribution and decreases postprandial adiponection expression induced by a carbohydrate-rich diet in insulin-resistant subjects. Diabetes Care. 2007. 30(7): 1717-23. Volek J, Kraemer W, et al. Testosterone and cortisol relationship to dietary nutrients and resistance exercise. 1997. J Appl Physiol 82(1): 49-54.